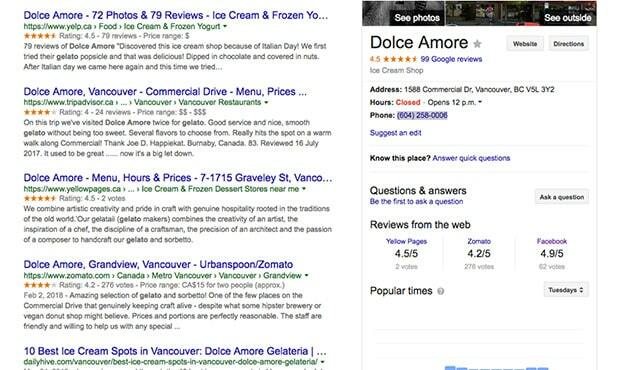 DOLCE AMORE – The Gelato Mafia is TOP GUN! 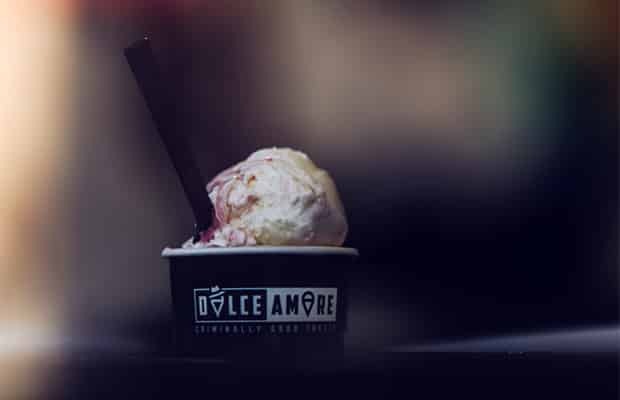 We all know the sweet name… “GELATO!” We can literally end this blog post right now and head over to the world of Dolce Amore aka “The Gelato Mafia” and begin the fun ritual of sampling flavors. Before we do that though, let’s take a moment to share with you some cool info about their organic brand and popularity, along with a few mouth-watering photos. 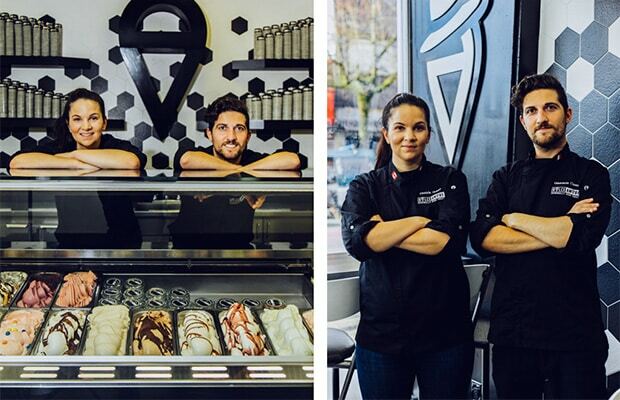 Standing at the helm of the contemporary Gelateria, located at 1588 Commercial Drive is “The Gelato Mafia” team of Danielle Grippo and Giancarlo Cusano. A proudly rooted Italian family of Gelato experts that has been in the business on The Drive for almost 15 years! 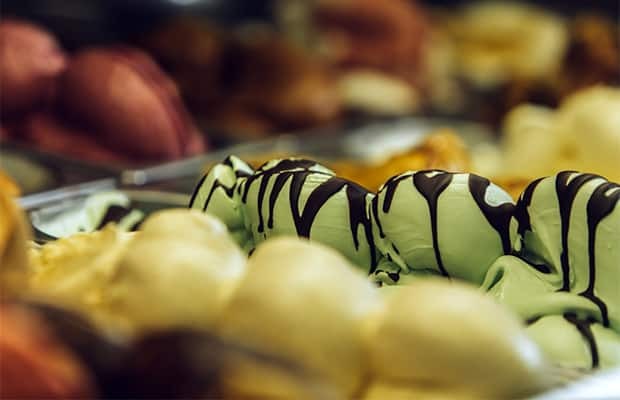 Danielle describes how it was her sister who graduated from Gelato University in Bologna that introduced the young apprentice, the ways of the frozen treat. Oh, and to confirm that there “IS” a place known as “Gelato University!” And of course they are located primarily in Italy! It makes perfect sense considering, that to master this process, it is somewhat mandatory to be educated using traditional methods and adapting their own creativity to their own market. The splendid finale resulting in an array of perfectly balanced flavors, catering to an infinite audience of eager palettes waiting at Gelaterias worldwide sans Dolce Amore! The young entrepreneurs both admit that their secrets not only come from using fresh ingredients but also their educational travels back and forth to Italy, rooting their skills. Learning and following trends has been key to their winning recipes. 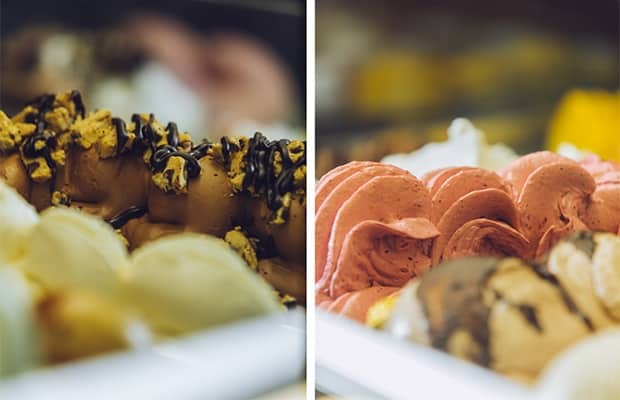 The years of dedication have produced a wide assortment of their finest, creamiest, and tastiest Gelato. 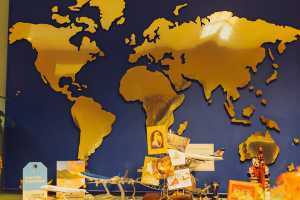 In addition, we get to enjoy it at their modern and spacious location! Word has it that they will be doing another renovation soon, and will do a re-grand opening in the spring to celebrate their 15year milestone! 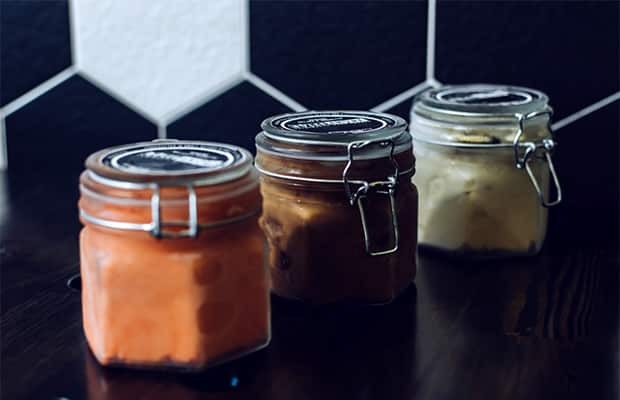 If you are like the many who can’t be satisfied with just a single serving or two, they also store and sell them in pints (glass jars) which is a great idea and package that you can gift to someone and enjoy it fresh at home. 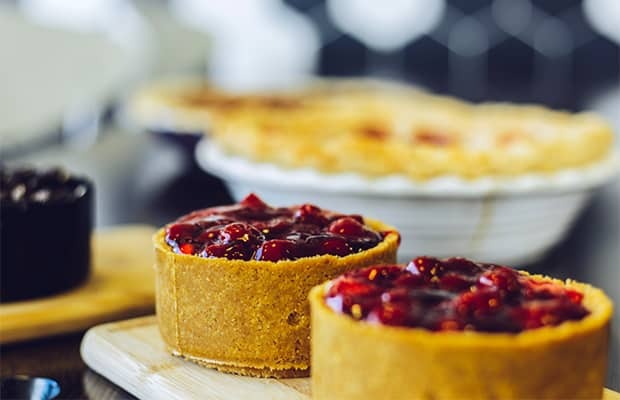 Dolce also offers much more in desserts. 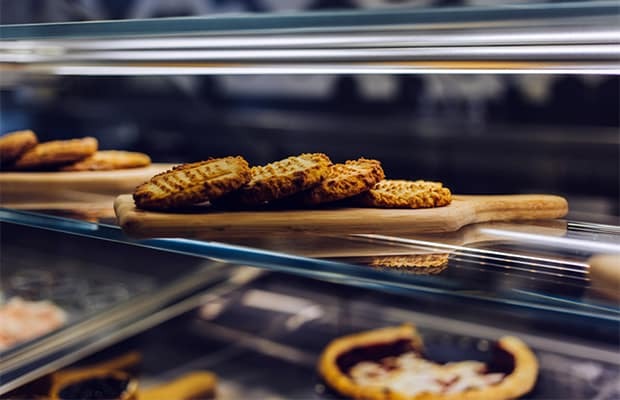 Along with premium coffee and espresso brews (let’s not forget the affogato) they have other homemade mouth-watering treats. This is where Danielle’s Mama can be seen nestled in the House of Dolce, baking tantalizing pies and other baked goods to enjoy. 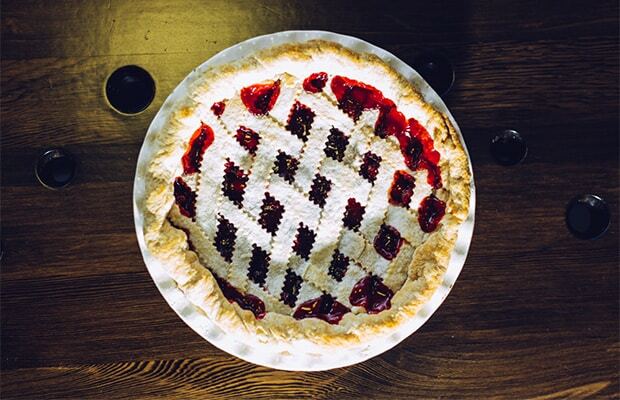 With premium Gelato made to order, they make custom cakes and other pastry goods in the menu. Their food and reputation have garnered a very loyal following that visit all year round. 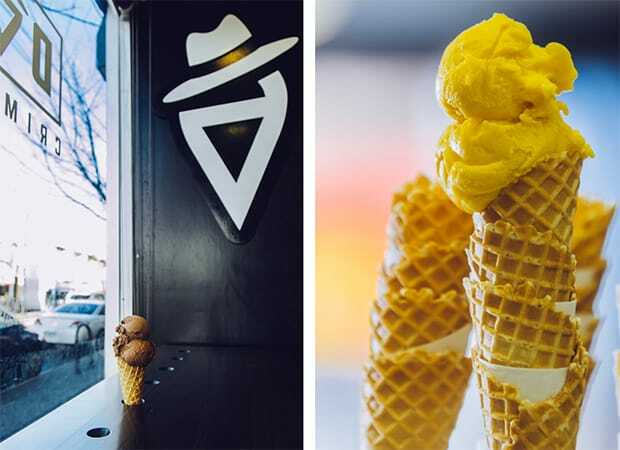 Open seven days a week, they are definitely worth a visit because when you’re voted and listed as one of the top places for Gelato in Vancouver, you are definitely creating something quite unique and special! 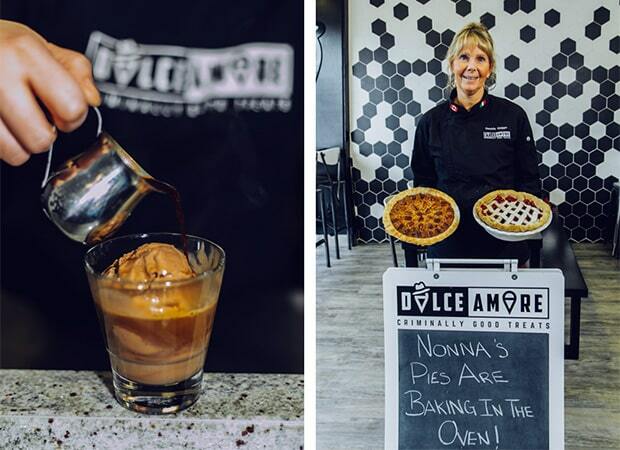 Very well deserved Dolce Amore, for the many years of your delicious service and for satisfying us with our Gelato Mafia “drive-byes”…On The Drive! Kulinarya Filipino Eatery – Restaurant success is best when served twice! Previous Previous post: Libra Room – Back in business with big cheers! 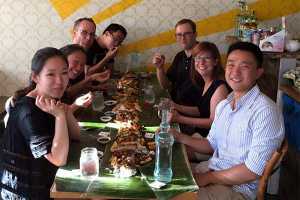 Next Next post: Kulinarya Filipino Eatery – Restaurant success is best when served twice!